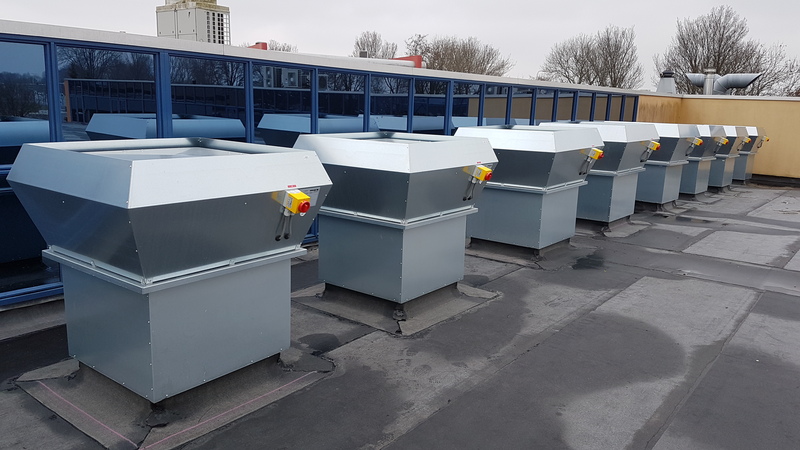 The Mark MDV BLUE roof fan is suitable for extracting air from buildings and features the latest developments in the field of fans, including the efficient EC technology. This guarantees a very low power consumption combined with excellent performance. 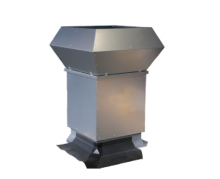 The MDV BLUE roof fan is available in various sizes and air displacements varying from 300 m³/h to 16.600 m³/h. The unit is supplied with a radial fan. The casing is made of sendzimir plate. The MDV BLUE can be used in factories, welding areas, offices and supermarkets. Controls: i.a. constant pressure, 0-10V, presence control, CO2 control, humidity control and temperature control.